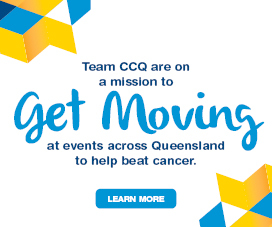 Cancer Council Queensland’s Tackling Tobacco Queensland project aims to support and connect people working with socio-economically disadvantaged communities to address smoking through training, resources and networking opportunities. The information and resources available on this page are designed to support social and community service sector staff and clients to quit smoking. The Tackling Tobacco Forum is designed for social and community service professionals who work with groups that have higher smoking rates. If you would like to address smoking with your clients, this forum is for you. The forum provides information and recommendations on how to support groups with high smoking rates to quit smoking, and is delivered by public health professionals with expertise in tobacco control and cancer prevention. People from these communities are more likely to die from tobacco-related disease than the general population. Reducing the smoking prevalence among these groups would not only enhance their health but also reduce their financial stress and social deprivation. Social and community organisations that service socio-economically disadvantaged communities are perfectly placed to support their clients with smoking cessation. Register with the Tackling Tobacco Network and receive quarterly newsletters with the latest tobacco news, case studies, education materials and information on smoking cessation and education. The smoking cessation pathway is a tool to assist staff in the social and community service sector to talk to their clients about smoking. Download the pathway and follow the simple steps to support your clients to quit smoking. The Queensland Quitline is a confidential, evidence based service dedicated to helping people quit smoking. The service provides practical assistance, information and advice tailored to individual needs. Counsellors are available 7am to 10pm, seven days a week. Quitline has a team of Aboriginal and Torres Strait Islander counsellors. They also provide services for those who speak a language other than English. Calls from anywhere is Australia cost the price of a local call. Calling from a mobile costs more, however, you can request Quitline to call you back. If your organisation supports people experiencing disadvantage (such as homelessness, unemployment, economic stress) you can partner with Queensland Health to provide access to a free quit smoking program for interested employees and clients. The program is delivered by Queensland’s Quitline service and combines support (delivered over the phone) with nicotine replacement products. 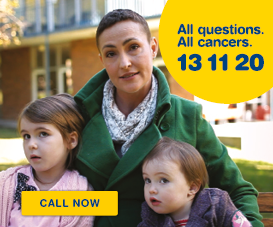 For more information, or to register your organisation complete this form and email to 13QUITHealthPromotion@health.qld.gov.au. A comprehensive smoke-free policy will help your organisation create a supportive environment for staff and clients to quit smoking. Smoke-free environments protect non-smokers from the dangers of second-hand smoke and support smokers who are trying to quit and reduce overall cigarette consumption. A rationale for the policy. Details of the locations that are smoke-free and any designated outdoor smoking areas. What smoke-free support is available for staff and clients. A procedure for non-compliance of the policy. Quit now is a website that provides information and tools to support people to quit smoking. Detailed information is provided on why and how to quit. QuitHQ is an interactive website to support people to quit smoking. 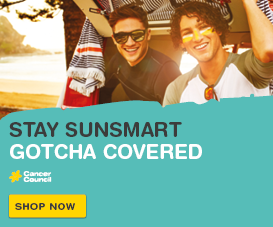 The website also provides information for health professionals and current smoking laws in Queensland. Quit Coach is a free interactive website that can help people quit smoking. Quit coach provides strategies to help resist smoking and helps people to understand their addiction. My QuitBuddy App is a personalised app to help individuals to quit smoking. You can set goals, reasons for quitting, add photos, play games to distract yourself or contact Quitline. Quit for You – Quit for Two App provides support and encouragement for women who are pregnant or planning to become pregnant, to give up smoking. Provides practical tips, advice and facts about your baby’s development.